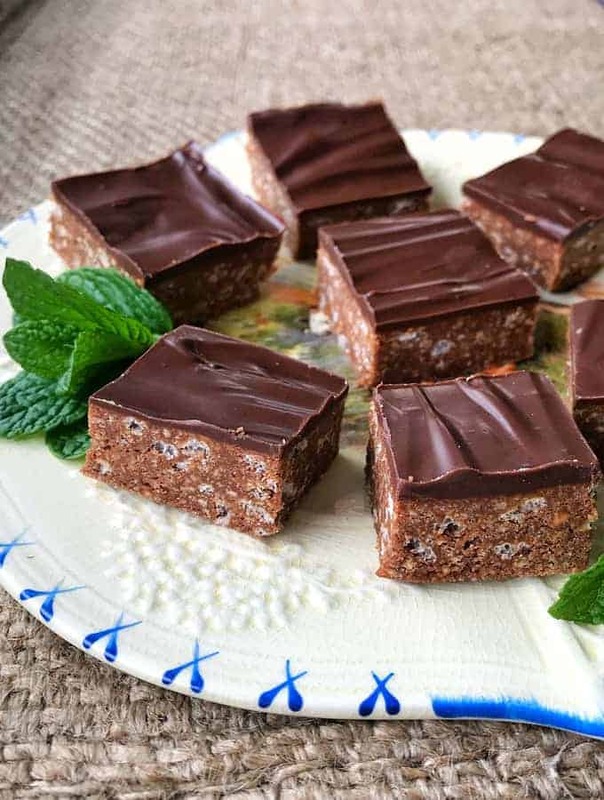 This no-bake dark chocolate peppermint slice is made with crushed biscuits, rice bubbles and condensed milk. 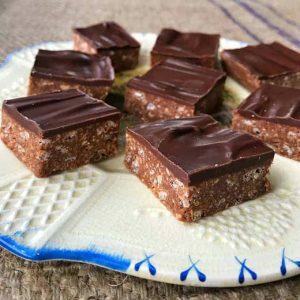 It is a delicious and decadent crispy slice and is so quick and easy to make. I had a craving for dark chocolate peppermint slice and I also wanted something crispy so I added rice bubbles to add some crunch. 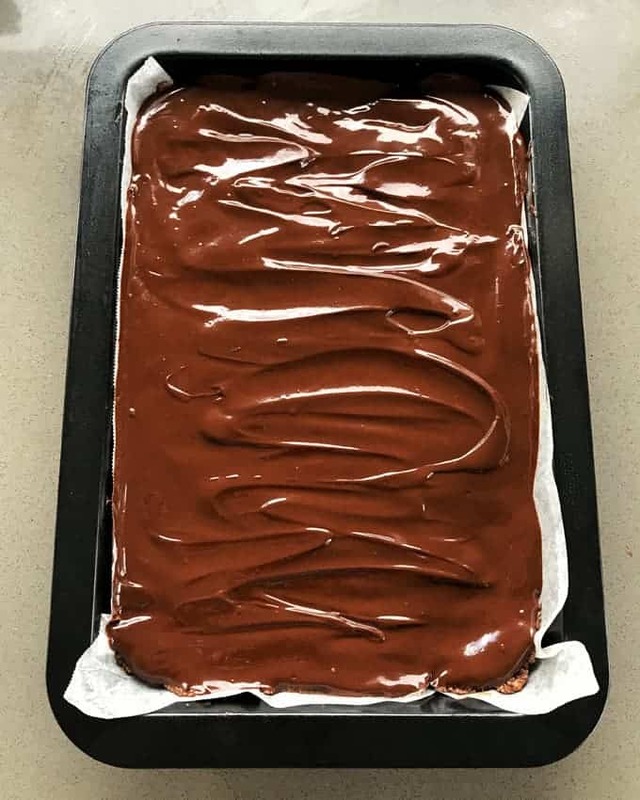 I was so happy after testing the recipe a few times and now it is the perfect mix of crispy base and decadent chocolate topping. 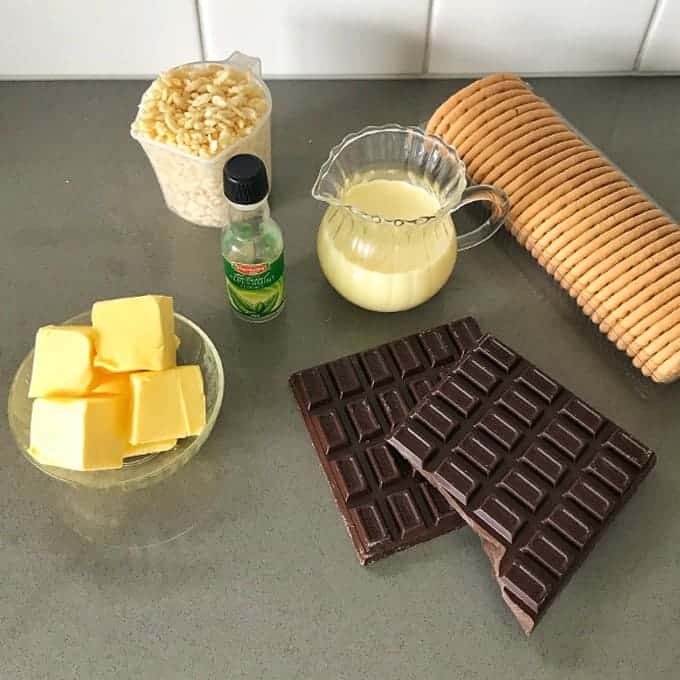 It is such a simple recipe, you just melt the butter, chocolate and condensed milk together then stir it in with the crushed biscuits and rice bubbles. I used Milk Arrowroot biscuits but most plain biscuits would work well too. My favourite dark chocolate is Whittaker’s 50% cocoa which I think really makes this slice so moreish. You could use any chocolate you like and even chocolate melts would work. If you prefer milk chocolate that would taste amazing too so just adapt it to your taste. 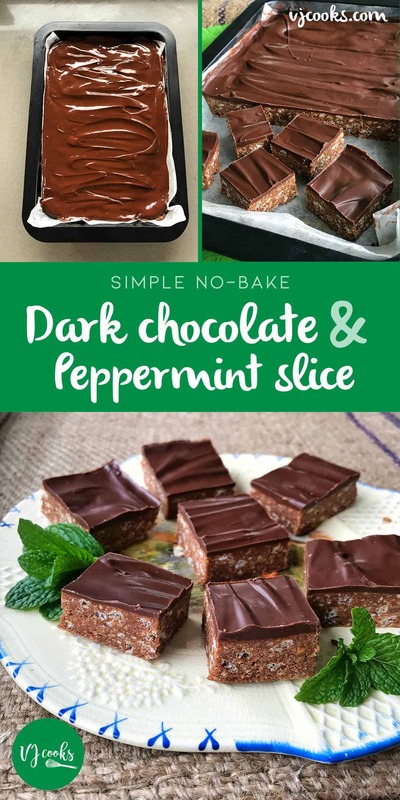 I’m so proud of this dark chocolate peppermint slice, I’m sure once you make it and see how quick and easy it is you will be taking it to every morning tea and family get together you go to. 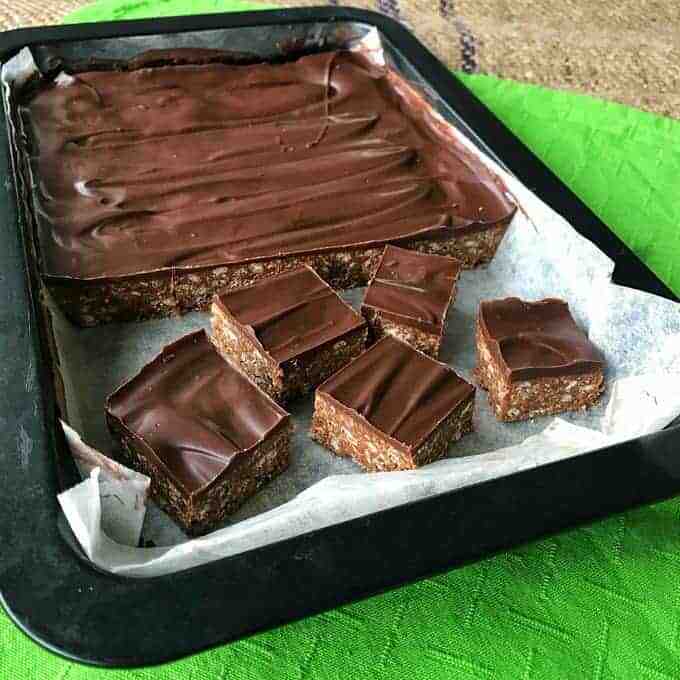 This super easy no-bake slice will be sure to satisfy your chocolate craving. Add to the crushed biscuits and rice bubbles and mix until all combined. Press the mixture into the tray, spread to the edges and smooth the top with the back of a metal spoon. For the icing: Melt together the rest of the dark chocolate with the oil in the microwave. Stir until it is smooth then add the peppermint essence and stir again. If it seems a bit thick then add more oil until it is nice and runny. Pour the chocolate over the base and spread it evenly to the edges. 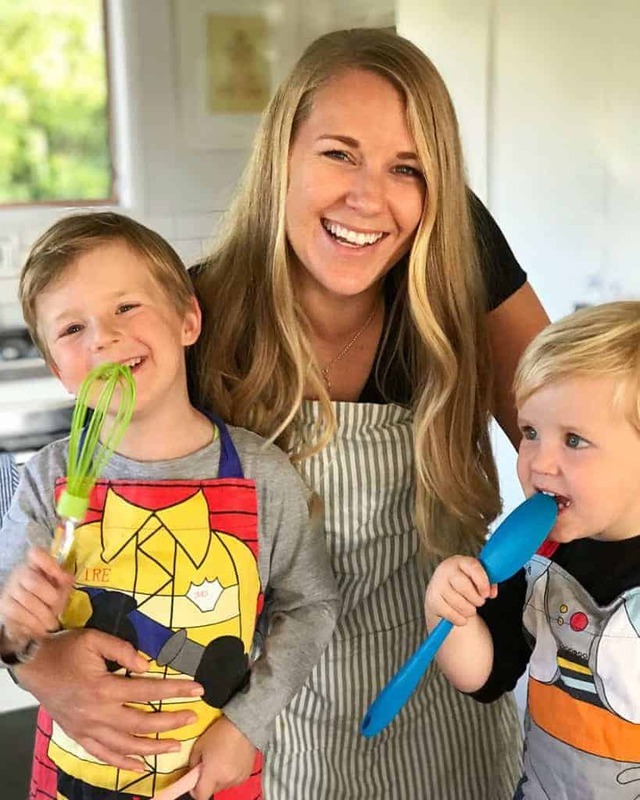 Chill in the fridge until set then use a large knife to cut into slices and serve. 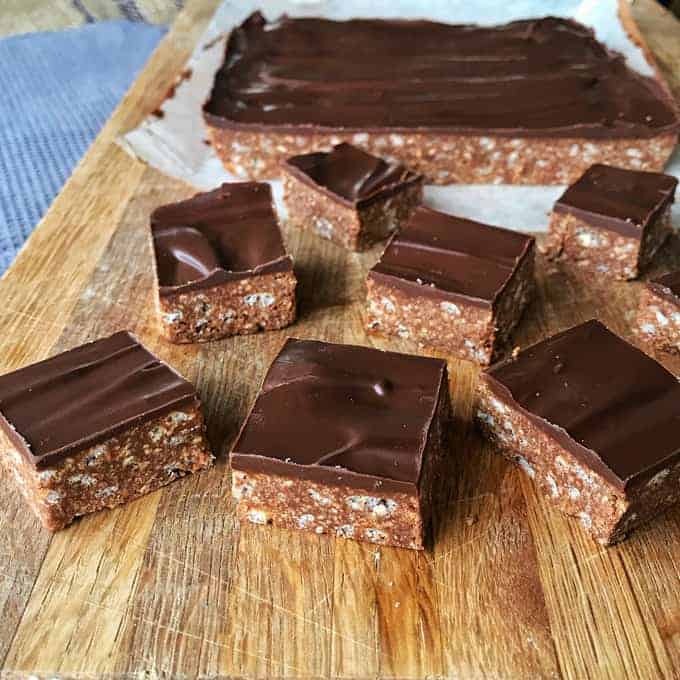 This recipe can be made into a dark chocolate orange slice by swapping the peppermint essence for orange essence flavour.